This winter, Helijet International Inc. and BC Ambulance Service will develop and install Night Vision Imaging Systems (NVIS) into all three of its dedicated air ambulance helicopters. 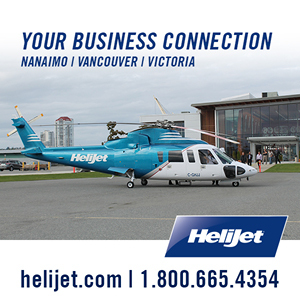 Helijet operates the specially-equipped Sikorsky S-76C+ medical helicopters on a 7/24 basis from its Vancouver International Airport and Prince Rupert/Seal Cove base facilities under long term contracts with BC Emergency Health Services (BCHES), which operates the B.C. Ambulance Service. NVIS is a proven technology used primarily by first responder flight operations such as air medical, search and rescue and law enforcement. 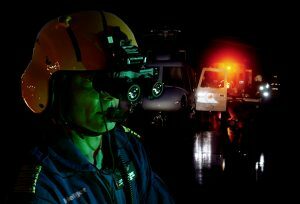 NVIS, also referred to as night-vision goggles, is a system technology which uses image intensifier tubes to produce an enhanced image of a scene in light conditions too low for the normal human eye to identify clearly during navigation and pilotage. Under an agreement with BCEHS, Helijet will install NVIS into the three dedicated air ambulances, with the $1.6 million installation cost being financed by Helijet International. Once operational, NVIS will enhance cockpit flight operations to provide greater pilot situational awareness with the objective of achieving safer mission completion during night flight operations. To complete this complex aircraft installation, Helijet has partnered with Saanich, B.C.-based VIH Aerospace, along with Rebtech Technologies and Night Flight Concepts, both of which are leading industry-recognized NVIS technology installers and service providers to the global aviation community. Helijet’s Director of Flight Operations, Brendan McCormick stated: “This equipment will significantly enhance our current air ambulance service delivery, allowing us to provide services where we couldn’t before and dramatically increasing safety where we have”. Helijet’s flight crew plan to be fully ground and flight trained on the use of this technology by early 2018.